Air Nostrum acquires majority shareholding in Medavia Operations Co. Ltd.
An agreement has been reached between Mediterranean Aviation Co. Ltd (Medavia) and Air Nostrum for Air Nostrum to acquire 51% shareholding in Mediterranean Aviation Operations Co. Ltd, a subsidiary of Medavia which holds the Air Operator’s Certificate (AOC). 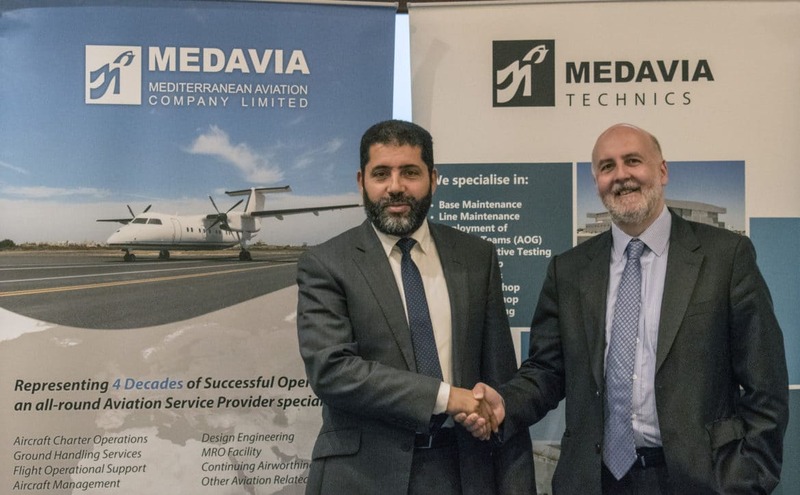 This agreement does not affect in any way Mediterranean Aviation Co. Ltd (Medavia) assets, including employees and aircraft but provides an opportunity for the creation of new business for both shareholding companies. Air Nostrum is a Spanish regional carrier operating flights within EU and through this acquisition will cover new geographical areas. The same opportunity for Medavia to increase its flights within the EU through its regional charters is further strengthened.